New ACCEPT Album Special Wacken Open Air Show Coming! ACCEPT’s new record is entitled “The Rise Of Chaos” and will be unleashed on August 4th, 2017. The 4th studio release through Nuclear Blast will continue the tradition of its three predecessors – “Blood Of The Nations”, “Stalingrad”, and “Blind Rage” – with grandeur and precision. And if this wasn’t enough, we will celebrate the album’s live premiere exclusively on August 3rd, on the day before its release, as a part of a special show at Wacken Open Air, Germany. Part 1 – Will bring fans a classic set, packed with new and old hits. Part 3– All elements can be seen and heard together: This will make the holy Wacken ground shake by sharing the stage with the orchestra, supported by a complex multimedia show. This unique concert experience will take place on this year’s “Night To Remember” which makes it even more special. 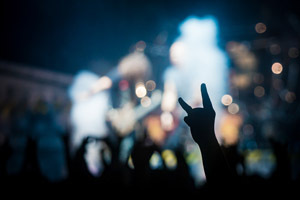 The “Night To Remember” is a celebrated, long-lasting Wacken tradition; for one night of the festival a selection of established bands will do something unique and special with their performance.